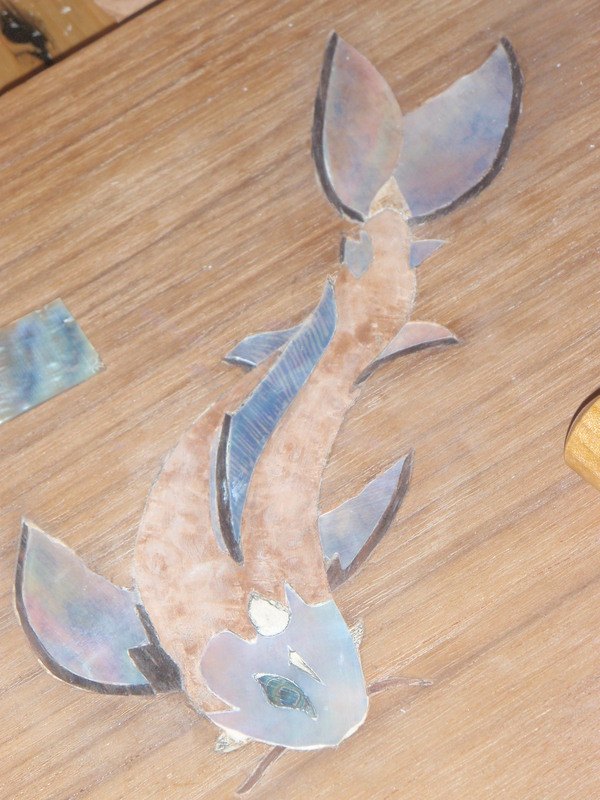 A Custom Koi Inlay for a Teak Serving Platter. Inlay made from Macasar Ebony, Mother of Pearl, Abalone, and Burled Maple. Will be finished with real dried wildflowers. Would this person be an angel by the name of Nicola Jones perhaps? Actually, it was! She inspired this piece. Even in the middle of fighting her own battle, she took the time to really offer encouragement and support to both me and my wife. Something we are very grateful for. The koi symbolizes strength and perseverance – something Nicola was brave enough to share with all of us. Which is why we chose that for the inlay. I’m not sure if she ever received it or not… I just hope she knew how much of an impact sharing her story (and her time) had on so many members of the community. A spirit like hers will never be forgotten.